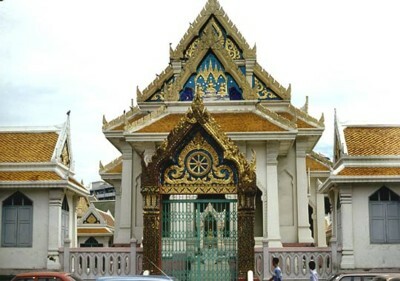 Wat Traimit from the outside is relatively plain, but it is of great interest and value because it houses the Golden Buddha, a solid gold image . The image is unrivalled in beauty, measuring 12 feet 5 inches in diametre and has a height of 15 feet 9 inches from the base to the crown and it weighs approximately 5 tons. Now more than 700 years old, it is a valuable treasure of Thailand and of Buddhism.